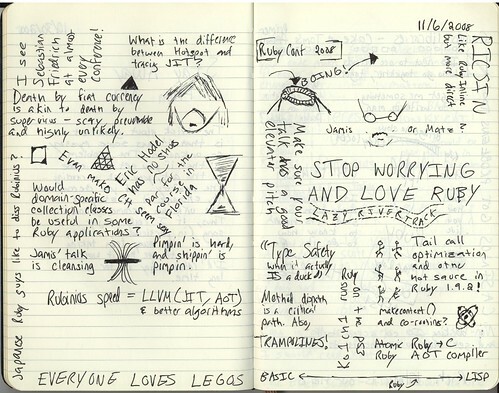 This year at RubyConf, I decided to go analog and take hand-written notes. (Someone did this for another conference but I can’t find the link.) I hope you find them amusing and/or educational. Click through to the Flickr set to see them in all their glory. Bonus points for identifying the people whose hair I drew and trying to decipher my handwriting! Was it Mike Rohde you were thinking of?